Cyanide might not be the most renowned developer out there, but if there's any genre I would trust the team with implicitly, it's in virtualising old board games. The difference in quality between Space Hulk: Tactics, and the previous Space Hulk title (Ascension), is truly impressive. For me, the most impressive thing about Space Hulk: Tactics is the ability to play the entire thing in first person mode, and while you don't have to do that, and can pan the camera back to get a look at the whole battlefield, I really recommend reverting to first person mode as much as possible. 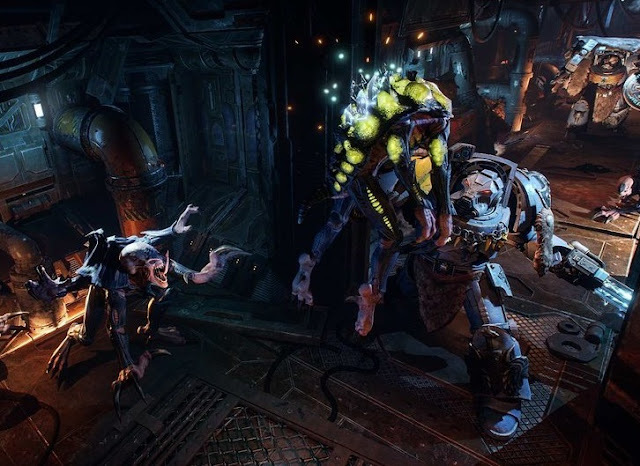 The appeal of Space Hulk is in its atmospheric darkness. As a riff on James Cameron's Aliens film, the idea of slowly marching through decrepit space ships, fighting off hordes of horrific and violently powerful aliens along the way is an excellent example of horror themes done well, and the team at Cyanide has done a spectacular job of capturing that atmosphere of overwhelming claustrophobia and impossible odds when you are seeing the space from the point of view of the Space Marines. There's nothing quite so tense as knowing there's a flood of enemies about to round a corner, and setting your Space Marine into overwatch mode to fire on them as they come... hoping that his weapon doesn't jam up first. Space Hulk, for people who never played the board game, or one of Tactics' predecessors, is a skirmish-level board game, in which you take control of a small squadron of Space Marines, and attempt to complete missions within a section of a ship crawling with Genestealers - Games Workshop's equivalent to the Aliens from the Alien series. The Genestealers have the numbers, and a near-complete advantage in melee. The Space Marines have the guns. 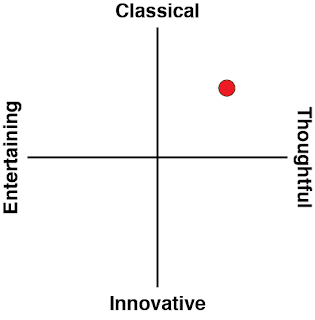 It's a classic showdown, and makes for some brilliantly intense battles, especially given how vulnerable each side is; a single wound and that character is down. It's incredibly difficult to complete most missions without losing at least a few, and most missions end up being a race against attrition - can you complete the objectives before losing one too many? This tension and tone suits the grimdark universe of the Warhammer 40K setting, of course, as fans would know well. Space Marines are utterly fearless, but also utterly expendable corp of soldiers. 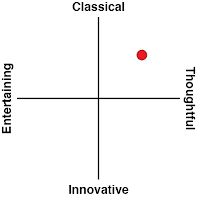 They're also beset on all sides by hostile enemies, and their numbers are dwindling. There's plenty to criticise with the "light in the darkness" rhetoric of 40K; it might be presented through the lens of very dark humour, but it's also an endlessly repeatable bit of nationalist rhetoric that is far too applicable to the real world. Despite that, it's an undeniably effective way of ratcheting up the tension by making the stakes of each battle super-high. 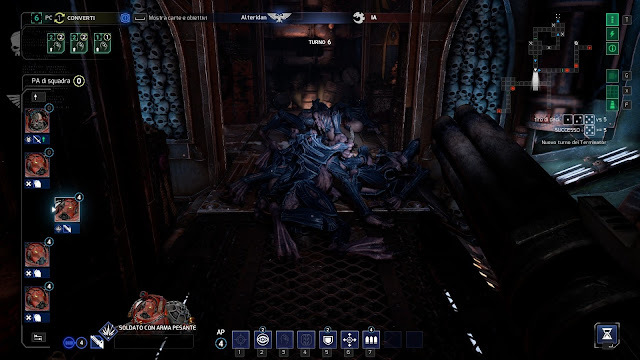 Space Hulk: Tactics is a very self contained game, but it does a good job of placing itself in the Warhammer 40K universe and convincing you that your actions in this game have implications well beyond it. It looks the part too. Certainly Cyanide gets away with a lot because it's often too dark to make out details. One suspects that if someone found turned the light dimmer off, Space Hulk would look rather basic, but with its mood lighting, it does the job of turning a limited visibility into part of the fear. 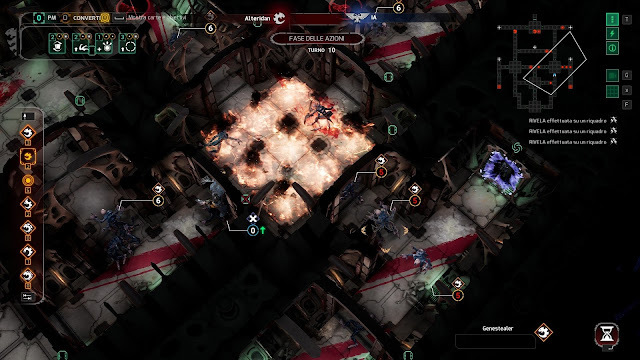 Space Hulk: Tactics is also nicely featured; in addition to giving you the opportunity of playing as the Genestealers (who need to have a very different tactical approach, making the two sides feel very distinct), the campaigns offer a rich set of inter-connected missions, which you move to across a tactical map of the derelict ship. Deciding whether to risk another battle with multiplying Genestealers to head off and grab some extra resources adds another layer to the campaign that helps take it beyond a sequence of missions. The missions themselves do a good job with the relatively simple combat system, ranging from defensive-focused objectives, to mad flights from the hordes, through to the occasional opportunity to flex the aggressive muscles and take the fight back to the monsters. Space Hulk, as a board game, features a highly streamlined ruleset, which is a little too reliant on luck by modern standards (it is an old board game), but is easy to pick up and understand for players of all experience levels. Most impressively, for all the randomisation, Cyanide has made Space Hulk: Tactics feel fair to play. Percentages seem to play out about right, and while things do occasionally go bad, luck swings both ways enough that you'll never feel like you're hard done by. One feature that Cyanide has implemented into the game that helps mitigate luck a bit further is a card system. Each turn you'll have access to a number of different cards which can be used to power up characters, or grant them additional actions on their turn. Clever use of these cards can help overcome a disastrous "dice roll" or two, and this adds another layer of much-needed tactical depth to the basic structure. Unfortunately, one of the key features that I was really looking forward to - the ability to build and share maps - is too limited for its own good. All the tools are there to design out a map, but what would have made this mode really worthwhile would have been if you could create a couple of linked maps and use it to tell a story. 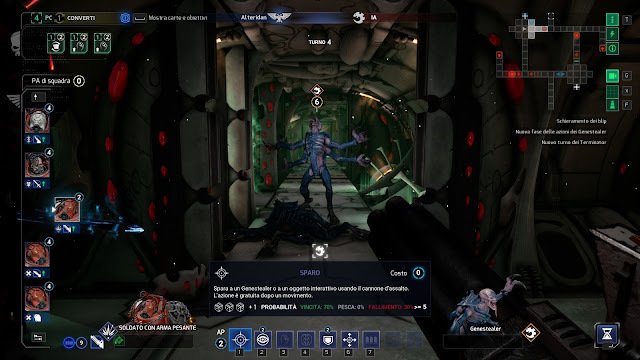 Space Hulk is too simple, and was never designed for maps to be played in isolation; they always took the form of more extended campaigns so there could be some narrative to help give the action context. Space Hulk: Tactics is the most impressive Warhammer 40K effort I've played in recent memory. Cyanide clearly decided to focus on the atmospherics and worldbuilding in lieu of the complex combat systems that make other 40K titles strategically engaging. Space Hulk doesn't have that, but what it does offer is a visceral, best-played-in-first-person tactics board game that offers up a hefty challenge. Do Hero Quest next, Cyanide!